Have you ever been to meeting in which you were struggling to stay awake in? Who hasn’t. With 37% of employee time is spent in meetings, it’s vital that they are both beneficial and productive for all parties. We’ve all experienced that feeling of dread when we are faced with black and white slideshow presentations, laden with clip art images. Here at the Webbington, we’ve played host to many a meeting and now deem ourselves pretty up there when it comes to understanding the secret to an engaging meeting. It’s true what they say ‘the art is in the planning’. The better the planning the better the execution and overall end result. Even before you send out the invite, note down the aims and objectives of the meeting. Once you have outlined these you can detail the ways in which you wish to achieve them. Nobody wants to attend another mundane meeting that eats into their already hectic schedule. Try and create a buzz prior to the meeting. This can be done through the way you send out the invite. Get creative with wording, images and other media, that will grab the recipient’s attention. You can even ask attendees to prepare a little something beforehand. This may sound pretty basic and slightly strange, however there is no need to invite everyman and their dog because they seem semi-relevant. Limit the attendees to key stakeholders and you’ll ensure everyone attending the meeting has a genuine interest in the outcome. Ensure you arrange pre-meeting snacks and plenty of fresh coffee, tea and fruit. Maybe even go that little bit further with bacon sandwiches, pastries or maybe a pre-meeting cooked breakfast with a teaspoon of networking. As one of the best conference venues in Somerset, we provide refreshments and catering in all our meeting packages. Hook your audience from the very beginning and start the meeting with a bang. Be it some well researched stats which grab delegates’ attention or perhaps get them to do a team exercise to get them talking and interacting. The trick is to avoid anything too heavy first thing. Make sure you include a range of activities during the meeting, the more you include the more engaging the day will be. After an interactive introduction, don’t dampen the mood with uninteresting talking points. Scatter the key information throughout the day and mix it up. Try and get people out of their seats and talking to one another about the topics. 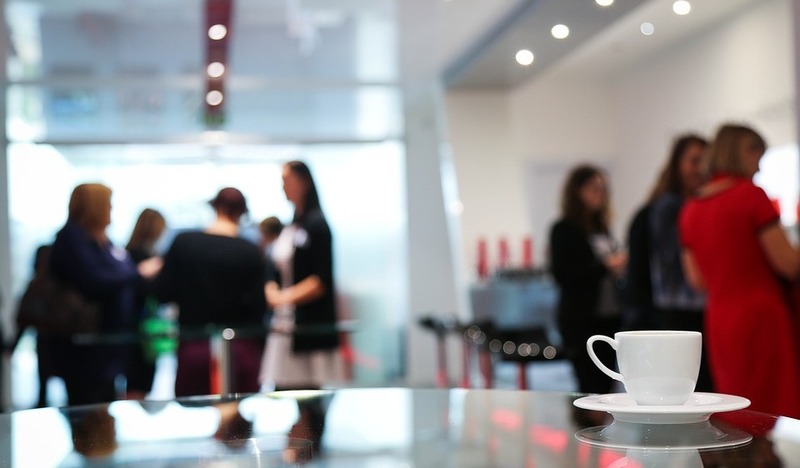 And there you have it, six great tips for hosting an engaging meeting. If you’re looking for high quality meeting rooms in Somerset, why not take a look at our meeting page to see the different rooms and packages available. Or contact our Events Team on 01934 751802 or email events@webbingtonhotelandspa.co.uk for further details and information.